Modesto, CA. - Three arms dominated the Stockton Ports in the Modesto Nuts' 4-1 victory on Saturday night at John Thurman Field. Nick Wells (W, 3-2) started the game for the Nuts (39-55; 9-15) and surrendered just one unearned run in the third inning. He did have to work around multiple baserunners in three of his six frames but finished with a bang by posting his first 1-2-3 inning in the sixth. Wells struck out three and walked three while allowing five hits. Jack Anderson followed out of the bullpen and heaved two perfect innings with one strikeout. Wyatt Mills (S, 9/12) slammed the door shut in the ninth with a 1-2-3 frame. Xavier Altamirano (L, 3-1) had a sharp start for the Ports (57-37; 13-11). In the third, with the inning extended on an error, Evan White doubled home Bobby Honeyman. The Nuts took the lead in the fifth when Honeyman started the inning by tripling into the left field corner. He scored right away when Bryson Brigman brought him home with a RBI groundout. Gareth Morgan added to the Nuts' lead in the seventh when he mashed a towering home run over the scoreboard in left. White drove in his second run with a single in the seventh. White went 3-for-4 with two RBI. Honeyman went 2-for3 with a pair of runs scored. Altamirano worked 6 2/3 innings while allowing three runs on eight hits with one strikeout and no walks. After splitting the first two games of the four-game set, the Nuts and Ports battle in game three on Sunday night. 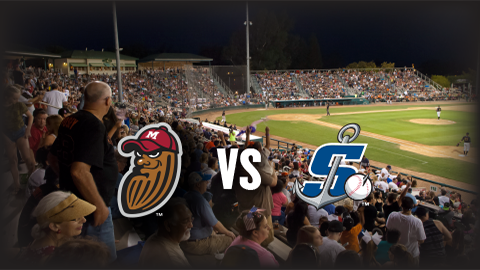 First pitch is set for 6:05 p.m. Coverage on ModestoNuts.com will start at 5:50 p.m. Listen live online on your phone, tablet or PC by clicking HERE.